Entry To Be Drawn on February 21, 2014. Details HERE. Telemarketing has come along way since it began over 50 years ago. Written by a seasoned professional, this book will detail the history of telemarketing, how business has changed over the years, the best way to recruit the top talent, telemarketing scams, why the art of Working From Home is dead and why some call centers fail when others succeed. Written by a professional who has 20 years of multi-national outbound telemarketing experience. Learn how to succeed as a telemarketer from his words. 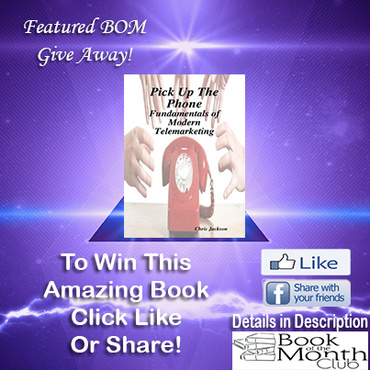 Pick up The Phone paperback normally retails for $15.06USD plus shipping.